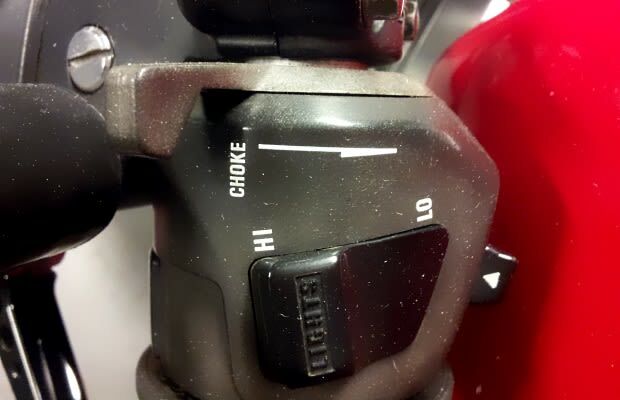 Don't forget to turn your choke off. Also, don't panic if you forget to turn it off once or twice. Most new bike owners will do it at least once. You know you need to turn it on to prime the engine after it's been sitting cold for any length of time, but turning it off isn't second nature yet. If you leave it on, you'll be running your bike rich unnecessarily for however long you leave it on past the initial warmup. Over time, this could cause problems -- but more immediately, you'll just be wasting gas. With prices hovering around $4 (and more) per gallon these days, why on earth would you want to waste gas?